Elections held in Azerbaijan since 1992 have not been free, fair and transparent, and have been evaluated as ‘incompatible with international standards’ by prominent domestic and international organizations, including the OSCE Office for Democratic Institutions and Human Rights (OSCE/ODIHR). The Election Code adopted in 2003 does not provide appropriate legal basis in issues like composition of election commissions, voter lists, nomination and registration of candidates, pre-election campaign, abuse of administrative resources in election process, official register of election results and investigation of election complaints. Moreover, the overall election period was decreased from 120 days to 60 days by regressive amendments made to the Election Code later. Accordingly, nearly all election activities were subject to restrictions. For example, pre-election campaign period was decreased from 60 days to 22 days; election campaign in mass media was restricted; registration deposit, as an alternative for collection of signatures for registration of candidates, was removed; legal mechanisms for objective and lawful investigation of election complaints were even more weakened; conducting exit-polls during the elections was restricted, and so forth. During the past period, many proposals were put forward by several domestic and international organizations for the purpose of improving the electoral system in Azerbaijan. 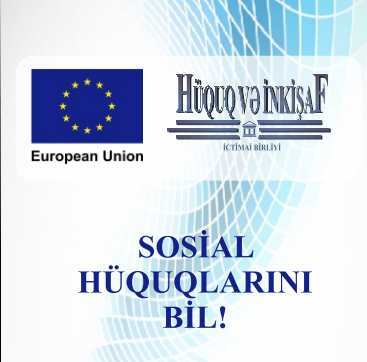 Among others, joint proposals of the Venice Commission of the Council of Europe and OSCE/ODIHR, recommendations of the international Election Observation Mission of OSCE/ODIHR, as well as recommendations put in the judgements of The European Court of Human Rights (ECHR) on election violations in Azerbaijan are of crucial importance. 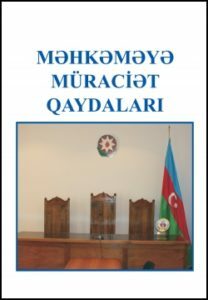 For example, many proposals for improving the electoral system in Azerbaijan were put forward in the 47-point Opinion of the Venice Commission and OSCE/ODIHR on “Election Law and Electoral Administration in Azerbaijan” (dated 1 June 2004, Ref. No: 286/2004), as well as in the 38-point Opinion on “The Amendments to the Election Code of the Republic of Azerbaijan” (dated 18 March 2008, Ref. No: 309/2006). Moreover, in their Final Report on the 7 November 2010 Parliamentary Elections in Azerbaijan, international Election Observation Mission of the OSCE/ODIHR proposed 17 recommendations for improving the electoral legislation and election practice in Azerbaijan, 7 of which were primary recommendations. Likewise, in their Final Report on the 9 October 2013 Presidential Election, OSCE/ODIHR proposed 20 recommendations, 9 of which were primary recommendations. Almost all of these recommendations were similar to those jointly proposed by the Venice Commission and OSCE/ODIHR. Besides, many recommendations for improvement of the electoral system in Azerbaijan are reflected in 48 judgements adopted by the ECHR concerning violations of election rights during the 7 November 2005 and 6 November 2010 parliamentary elections in Azerbaijan. In general, the recommendations proposed to date included such issues as: formation of the election commissions in a more balanced way; increasing the overall period of elections and election activities; inadmissibility of interference in the elections and abuse of administrative resources in the election process; simplifying the procedures for nomination and registration of candidates; ensuring exceptionality of termination of candidate registration; increasing the pre-election campaign period and enhancing pre-election campaign opportunities; increasing transparency in the election process; providing mechanisms for objective, fair and effective investigation of election complaints; improvement of the norms concerning voting, official register of election results, as well as invalidation of election results, and so on. Researches show that during the past period, the Government of Azerbaijan has not carried out any principally important change towards improving the electoral legislation and election practice in accordance with these recommendations. Thus, at the current stage, implementation of these proposals for improvement of the electoral legislation and election practice has become a primary factor for free and fair elections in the country and for democratization process in general. Composition of election commissions at all levels should be re-organized in accordance with new principles. All elections held in the past period have shown that the Central Election Commission as well as constituency and precinct election commissions, formed in accordance with the current principles, have acted not independently and in a balanced way, but under the direct control and instructions of the executive authorities. The Election Code envisages formation of the election commissions on the basis of representation in the Parliament. According to this rule, 1/3 of the election commissions represent the ruling New Azerbaijan Party (YAP), 1/3 represent independent members of the Parliament and 1/3 represent the parliamentary minority. In the present situation, formally “independent” and “parliamentary minority” MPs in the Parliament support the Government’s position. Accordingly, their representatives in election commissions stand in the same position with the representatives of YAP. Therefore, the election commissions formed in line with this principle indeed act under the influence and control of the Government, and adopt their decisions by the instructions from the Government. The election commissions formed in accordance with the current principles have lacked public confidence and have openly favoured the Government in all elections. During 13 years since adoption of the Election Code, composition of the election commissions almost has not changed and the same persons have been serving as commission members. None of the three presidential (2003, 2008, 2013), three parliamentary (2005, 2010, 2015) and three municipal (2004, 2009, 2014) elections administered by the commissions in such composition had been free and fair. 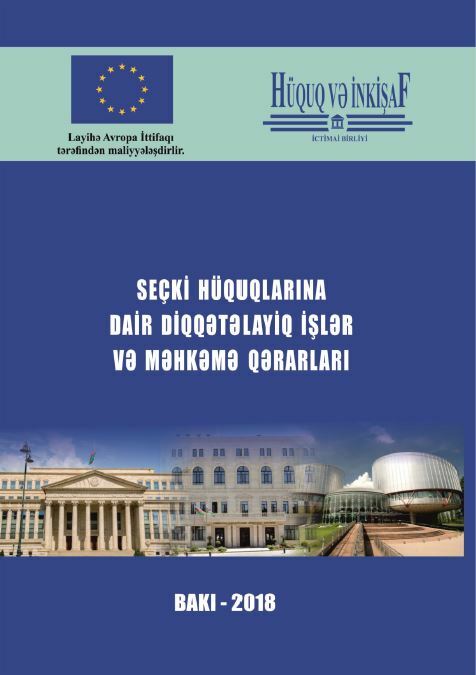 Composition and activity of the election commissions has been one of the main and continuous points of criticism in the reports of independent domestic and international election observation missions, in several resolutions of the Parliamentary Assembly of the Council of Europe, as well as, in the judgements of the ECHR on election violations in Azerbaijan. 2. The process of nomination and registration of candidates should be improved. There are 125 election constituencies in the country. In parliamentary and municipal elections, political parties and blocs of political parties must submit a separate decision and other necessary documents to each constituency election commission in order to nominate their candidate in that constituency. This makes the process of nomination of candidates difficult for them in most of the election constituencies. In presidential elections, there are very hard conditions for collection of voter signatures for nomination of candidates – at least 50 valid signatures must be collected from each of at least 60 election constituencies, and one voter can give signature in support of only one candidate. This creates opportunities for considering invalid a huge number of voter signatures during the process of verification of signatures. As the working group which checks voter signatures and other documents is not composed of independent experts, registration of potential candidates is illegally refused. At the same time, the general/vague character of some of the provisions on refusal of candidate registration allows for groundless refusal of registration. Also, the working group which examines the information in signature lists and other documents during the process of registration of candidates is not capable to act independently and objectively. According to the Election Code and the Regulations approved by the Central Election Commission, the working group is composed of experts from the Forensic Expertise Centre of the Ministry of Justice and specialists from the Ministry of Internal Affairs, Ministry of Finance, Ministry of Taxes, State Statistical Committee, and State Service for State Register of Immovable Property. 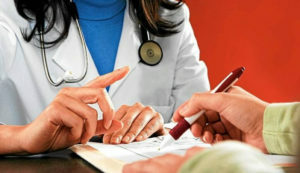 Members of the working group are hired for this work based on agreements with the relevant state bodies, without leaving their permanent posts. Moreover, the working group is headed by a member of the election commission. Thus, the fact that the working group is created by the election commission, that it is composed of not independent experts but specialists working in state bodies, and that it is headed by a member of the election commission, makes it dependent on state bodies and election commissions. Therefore, they are unable to act independently and provide objective opinions. During previous elections, as a result this situation, many candidates were groundlessly deprived of their right to run in the elections. 3. Election period should be extended and pre-election campaign opportunities should be broadened. With the recent amendments to the Election Code, the election period was reduced from 120 to 60 days. Accordingly, the period for nomination of candidates, collection of voter signatures, registration of candidates and observers, and other election activities was shortened, as well as, the period for pre-election campaigning was decreased from 60 to 22 days. The Election Code restricts the scope of areas where campaign posters can be placed, and the airtime period and conditions for election campaigning in state-sponsored electronic media are inconvenient. The relevant generalised and vague provisions in the Law on Freedom of Peaceful Assembly and the Election Code allow for restriction of the freedom of assembly by the executive authorities. 4. Guarantees regarding inadmissibility of the abuse of administrative resources and removal of interferences in the election process should be strengthened. The experience of previous elections shows that administrative resources are used in favour of the candidates supported by the government. At the same time, authorised persons of state bodies interfere in the elections in favour of those candidates. Abuses of administrative resources and interferences in the elections are not individual initiatives of authorised persons, but are a deliberate and generally regulated process by the government in all election districts. Weak liability measures for such cases, as well as the lack of precedents of accusation and punishment for such cases during the previous elections clearly indicate this. Abuses of administrative resources and interferences in the elections generally happen in such processes as collection of signatures in support of candidates, registration of candidates, conduct of pre-election campaigning, voting, and tabulation of votes. 5. Effectiveness of court review of the complaints on violation of election rights should be increased. According to the Election Code, Expert Groups, created within the Central Election Commission and Constituency Election Commissions, investigate complaints concerning violations of election rights, and the relevant election commissions adopt decisions based on the Opinions of these expert groups. Decisions of the election commissions on election complaints can be appealed at the appellate and cassation instance courts. Since the Expert Groups of election commissions, which investigate violations, are composed of the members of election commissions and employees of the election administration, they act under the control of election commissions and are unable to adopt decisions independently. The experience of previous elections shows that Expert Groups have intentionally not investigated the election violation cases properly, and illegally issued Opinions that declined complaints about election violations. The Expert Groups deliberately did not invite for interview the persons who submitted complaints and/or the persons who compiled acts proving the violations; they never questioned those persons; they did not carry out additional investigations; they carried out biased and non-objective investigation, and adopted illegal and unfair decisions. Investigation of election complaints by the courts was conducted similarly to that in the election commissions, and groundless and illegal decisions were made. Thus, in the past period, the existing electoral legislation has not been able to play any qualitative role in preventing illegal decisions concerning violation of election rights and in restoring the violated rights. 6. The process of voting and documentation of election results should be improved. Under the pretext of ‘absentee voting’, thousands of people are illegally added to the additional voter list on the voting day and the ‘votes’ of such people are used in favour of the candidates supported by the government. Several vague provisions in the Election Code regarding election observation allow for restriction of observation during voting and tabulation of election results by election commissions. As a result, the observers are not able to observe fully and thoroughly the process of voting and tabulation of voting results. At the same time, the electoral legislation is not capable of ensuring proper mechanisms for controlling the voter lists and additional voter lists. Moreover, the norms for considering the election results invalid are not clear, and these norms have made the process of considering the election results invalid difficult and ineffective. In addition to these, it is not legally logical that the results of parliamentary and presidential elections are approved by the Constitutional Court. The fact that the results of these elections are approved by the Constitutional Court negatively impacts investigation of election complaints. That is, the Constitutional Court approves the election results before completion of investigations on election complaints and, based on this ground, none of the election complaints underway is sustained. Composition of the election commissions at all levels, including appointment of the chairs and secretaries of election commissions should be organized in a balanced way based on equal representation of main political forces. We think that election commissions formed in accordance with such principles would achieve a general public confidence and ensure holding free and fair elections in the country. In electoral legislation, the norms specifying grounds for refusal of candidate registration should be precise and registration deposit should be applied as an alternative option for registration of candidates. Opportunities for pre-election campaigning should be broadened, restrictions on placement of campaign posters should be lifted, and airtime period and conditions in all state-sponsored electronic media should be extended. 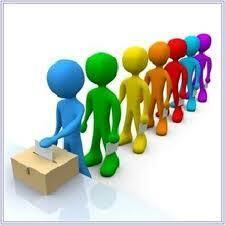 Measures against abuse of administrative resources and interference in the elections should be strengthened. The electoral legislation should envisage norms regarding annulment of registration of the candidates and mandate of the elected persons in favour of whom abuse of administrative resources has happened. The rule on approval of the results of parliamentary and presidential elections by the Constitutional Court should be removed.